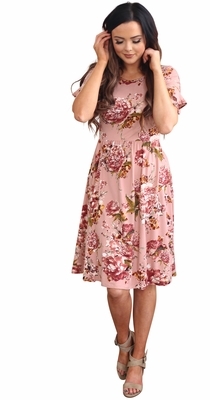 The Nessa is a simple & comfortable dress with a great, flattering fit! Features include a high rounded neckline, a flowing a-line skirt and gathered elastic waist. 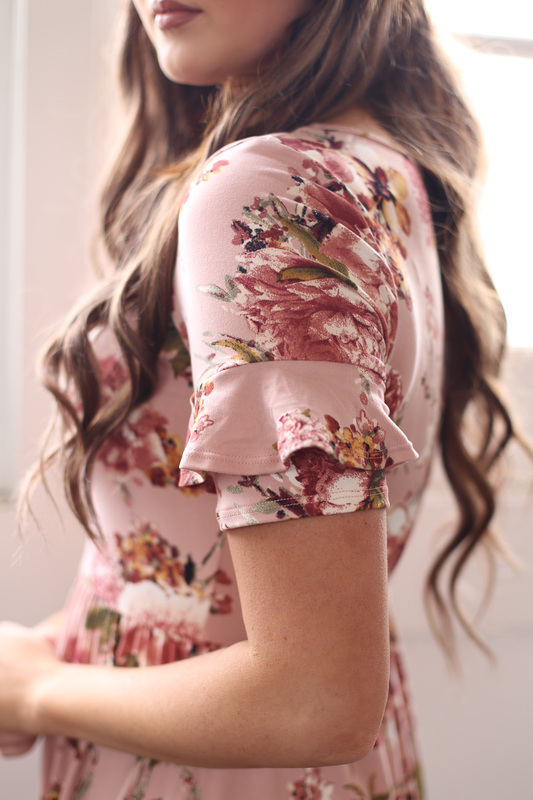 What sets this dress apart is the adorable ruffles on the half-sleeves--so pretty & feminine! The simple silhouette is easy to accessorize, whether you need to dress it up or down. Soft, stretchy fabric & slip-on style. 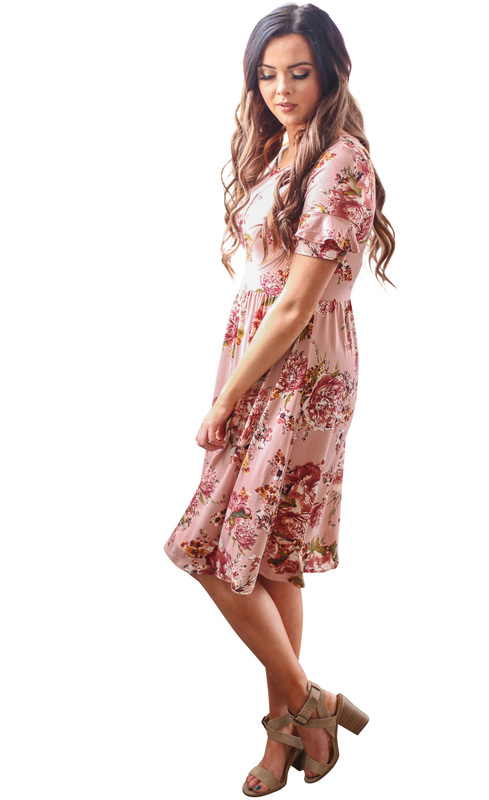 It works beautifully for church or date night, but the flattering fit & pretty colors also make it a great choice for a modest bridesmaid dress! Also available in Dusty Rose, Mint Sage, Burgundy, Olive Green and Emerald Green w/Floral Print.